The Internet opened the door to a whole new platform of advertising. The smartphone has accelerated this evolution and given consumers a handy way to find exactly what they are looking for. There are five primary reasons why nearly every business should operate with an iPhone app. There are now hundreds of thousands of iPhone apps used by the public, many of them specifically designed to make it easy to shop over the telephone. These apps create a direct link between customer and service provider. A company can have a professionally designed app bring an entire storefront to the iPhone viewscreen. The idea of one- or two-touch shopping is very appealing to the masses. So long as the pertinent information is displayed and the navigation is simple, the iPhone app saves the customer time and is very convenient. This is the biggest single marketing point of the iPhone to begin with, and companies who take advantage of this will have a leg up on the competition. An app can be designed in a customized way, one that is particular and unique to the company using it. Just as a website is constructed to make it easy to cross-reference information, companies can use their business app to attract attention in several different ways. Search engine optimization allows companies to reach potential buyers regardless of how an inquiry is phrased, and an iPhone app allows business to find customers through social media sites, online directories, and demographically based searches. If a customer downloads a business app, he or she has already established a relationship with the company. An appealing app that is shrewdly advertised will result in a large number of downloads and helps build up brand awareness. This means that a part of the retailer, service provider or utility company is now present in the consumer’s phone. Consumers tend to remember what they have downloaded if the information they initially viewed looks promising. Even if they do forget about an app, the information is there in case they have a need to search for a particular service. A new product or service, a sale on certain items, and discount offers for iPhone customers can be announced with ease. Alerts for billing, service improvements, and changes in company policy are efficiently broadcast to all customers. The announcing of bargains is never lost on the online shopper. Keeping in touch with customers and clients also increases repeat business. No one is going to buy a product every time an event is announced, but a deep feeling of respect for the customer is created. Customers are much more likely to buy from a company that promotes the idea of positive relations. An iPhone app for business can be rather complex in its design and may require the services of an expert for its creation, but once it is operational the cost savings are immediately realized. An entire marketing campaign can be set up using the iPhone for direct customer contact and notification. This greatly reduces the amount of paperwork, snail mail, cost of implementing customer feedback programs, and reworking of the company website. Businesses should also consider taking advantage of free apps that help traveling employees find good deals on airfare and hotels as well as locating restaurants and auto repair centers. One thing has not changed in the world of business competition. The difference of three or four percentage points in customer satisfaction can mean success or failure. 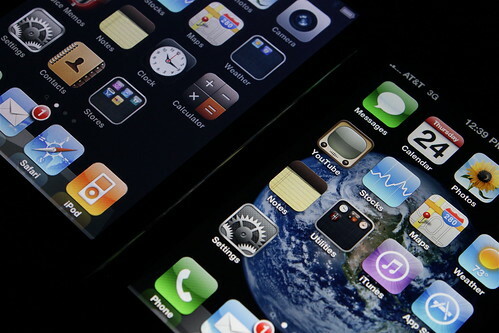 An iPhone app is necessary because it connects the company to an increasingly large segment of the buying population. This article was provided by John Reynolds on behalf of Blue Whale Apps, a top-tier iPad app development company and iPhone app development company that helps set up companies for success on the mobile Web. This entry was posted on Saturday, August 18th, 2012 at 12:55 am and modified by WebMaster View on Friday, March 21st, 2014 at 6:49 pm. You can follow any responses to this entry through the RSS 2.0 feed. Responses are currently closed, but you can trackback from your own site.